Homework Club - Latest News - Whitefield School - Live, Learn, Aspire, Achive. 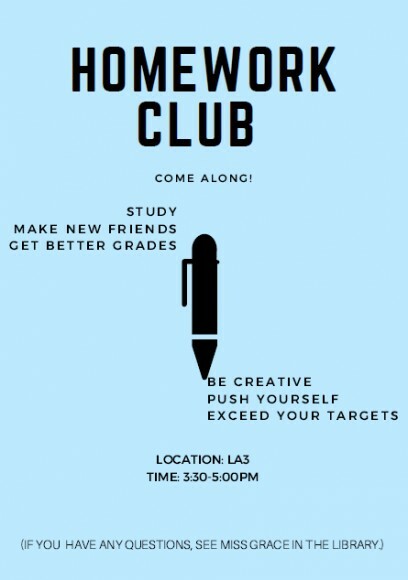 Homework Club will run after school everyday from 3:30-5:00pm (La3). It is a place for children to study and do their homework, however it is also open to students who would like to stay in a quiet and safe place until their parents come and pick them up.